Please help me welcome author Bruce Stuart, with his guest post as part of a TLC Book Tours stop for his new book, The Lightening Round. Thank you so much for giving me the opportunity to talk about a topic so near and dear to my heart — and of course my stomach — food. You really cannot write a novel about weight loss and romance without spending quite a bit of time on how food influences each character’s life. Food is one of the few “controlled substances” that humans must take in order to survive, but if if they are too drawn in by its seductive powers— they can fall prey to becoming an “addict.” In THE LIGHTENING ROUND, the novel’s protagonist, Hannah More, is considered one of the best cookie bakers ever to have walked the Earth. In fact, her cookies are so amazing that she lands a story in People magazine because an airline passenger happily trades his first class seat for her coach ticket on the same flight for just a few of her sinfully addictive cookies. One of Hannah’s greatest challenges in the novel involves her career and gift as a phenomenal baker and the weight she puts on at the same time as she labors to build her business together with her sister, Samantha. Much of her transformation occurs while she is in the (pardon the expression) belly of the beast, a.k.a. a sadistic gym which segregates its members onto different levels based on their weight. Through the use of high-tech wearables known as Reveals, not only does the gym have the ability to monitor all of its members’ interactions and eating habits, but it also restricts members from being able to associate with members on other levels not only inside the gym, but outside of it as well. It is is this limitation which ultimately creates the forbidden romance between Hannah and a gym member on a higher level. THE LIGHTENING ROUND originated as a popular serial on the website SerialTeller.com. There are actually many similarities between a good piece of serial fiction and a sinfully seductive and satisfying food. 1- Much like good food, the concept and packaging for the serial has to intrigue. There has to be a tagline to draw you in to read it, just as an enticing description of dish on a menu convinces you to order it. 2- The finest ingredients are essential to creating the most devilishly enticing culinary creation. The same is true when it comes to putting together a serial or novel that will compel its reader to keep turning the pages. Except these “ingredients” consist of genuinely relatable characters, a fast-paced plot, and twists and turns that will keep readers guessing up to their last “bite”— or should I say—word. 3- The last similarity is actually much more visceral. It is the satisfaction aspect of what one has just consumed. Did it hit the spot? Was there more in this creation than originally met the eye? While it may have used just basic ingredients, if it was prepared in the right way, it could end up creating a memorable experience that will not soon be forgotten. teaser: The blockbuster SerialTeller serial The Lightening Round is now a novel. 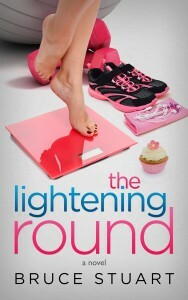 In The Lightening Round, Hannah More, a sassy single mom with weight issues, reluctantly enters Ultimate Level, a San Francisco gym which groups its members based on their weight and fitness levels. Much to her shock, Hannah actually finds that this crazy “fitness experience” works well for her. That is, until she falls for another gym member who is on a different level. Ultimate Level’s rigidly enforced policies only allow its members to communicate with members on different levels in person for 15 minutes every two weeks both inside and outside of the gym. Hannah will have to come up with some rather ingenious and comic schemes in order to land the romance of her dreams. 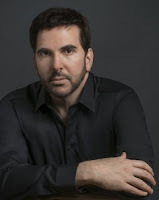 about the author: Bruce Stuart is the author of five books. The Lightening Round was originally published as a serial on SerialTeller under the pseudonym K.T. Newman. 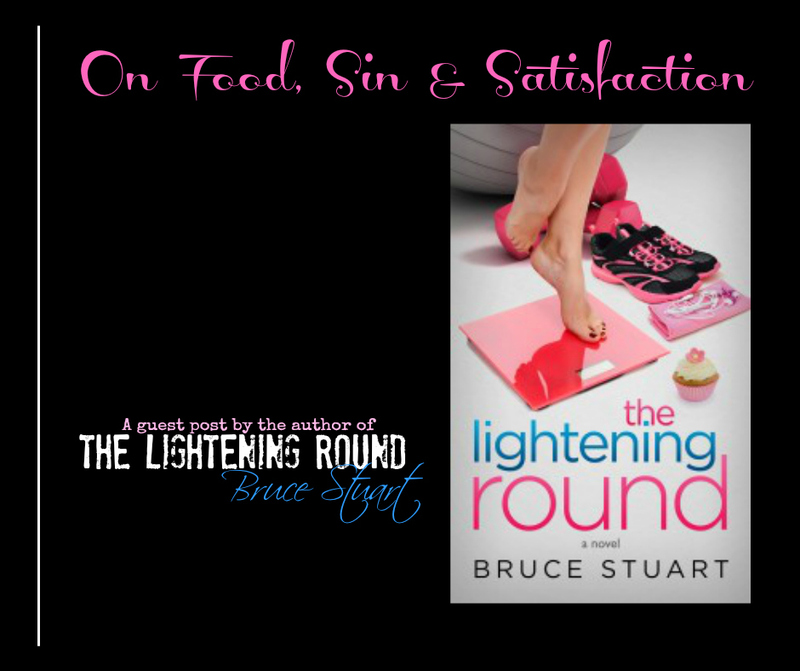 Find more author guest posts and a couple of reviews of The Lightening Round on the TLC Book Tours page!